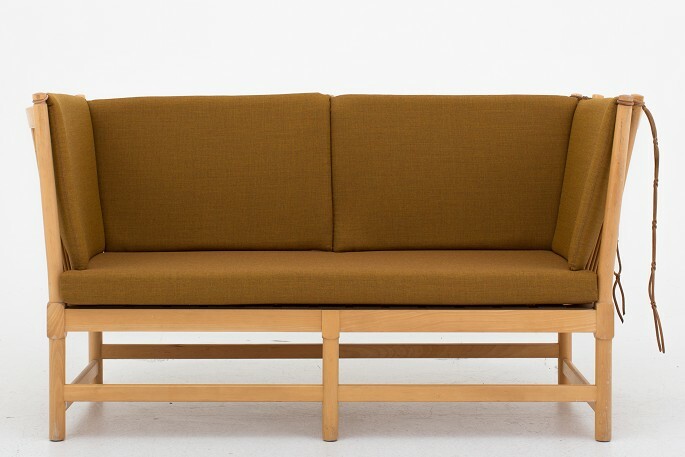 BM 1780 - Reupholstered "Spoke back" sofa in beech w. new cushions in Canvas 424. We can offer upholstery of the "Spoke back" sofa in fabric or leather of your choice. Please contact us for more information.